At the top of your list of places to visit in Green Bay is the NEW Zoo, located ten miles north of downtown within the Brown County Reforestation Camp. This 1560 acre recreational area has miles of hiking, biking, and nature trails, and offers the perfect setting in the winter months for snowshoers and cross country skiers. The NEW Zoo also has two shelters for picnics, grills, a playground, volleyball courts, and a ball diamond. The observation tower gives you a fantastic vantage point to view the animal exhibits. It's a fun and educational place to learn about all kinds of animals. Be sure to start your day at the Visitor Center, where you can pick up a souvenir at the Paws and Claws Gift Shop. 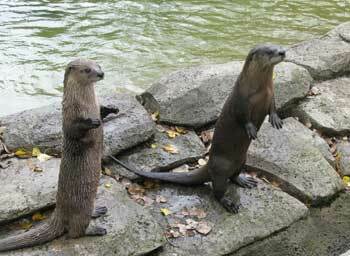 The NEW Zoo has an abundance of wild animals in their natural habitat, and a favorite among kids is the Children's Zoo. Here is where you'll find sheep, goats, alpacas, and reindeer...with the opportunity to feed and pet the animals. The African Safari puts you face to face with lions, penguins, and giraffes. Don't miss the chance to feed Hodari and Zuri, two of the giraffes in the Discovery Center at the NEW Zoo. Daily feeding times are 10am-12pm and 1pm-3pm and you can purchase 2 crackers for $1 at the giraffe stand. Then head Down under in Australia where you can view animals indigenous to this country, like wallabies and emus. The Northern Plains section puts you out on the range with bison, elk, and prairie dogs, or view white tail deer, river otters, and black bears in Sweet Home Wisconsin. Kids will enjoy riding the Endangered Species Carousel which supports wildlife conservation and it's only $1 a ride. The KC Stock Safari Train is also $1 per person and makes a leisurely round of the zoo every day from 10am-5pm, weather permitting. When your zoo excursion is over, stop into the Mayan 'Taste of the Tropics' Restaurant, where you can have an affordable and healthy meal while you enjoy a beautiful panoramic view of the exhibits. Keep the NEW Zoo in mind when choosing a venue for your child's birthday party. They offer a package complete with admission tickets, pizza, cake, gift bags, invitations, and more. With the zoo as entertainment, there's no better place to hold a party. 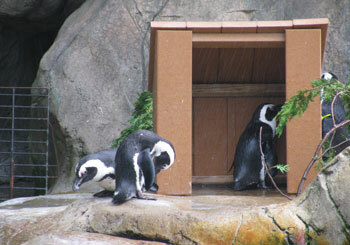 Take a special guided tour through the zoo and go where regular guests can't. You'll learn fun and interesting facts that only the keepers know, and it's only $2 per person. Educational classes are offered by the zoo for $2 per person, are roughly 45 minutes in length and let you view three to four animals. Other classes for children include Fur, Feathers, Shells & Scales, Creatures Have Class, Animal Adaptations, and Edging Toward Extinction. Or let the zoo come to you...the Zoomobile will stop at your school, business, or event and bring a few cuddle friends to teach conservation. 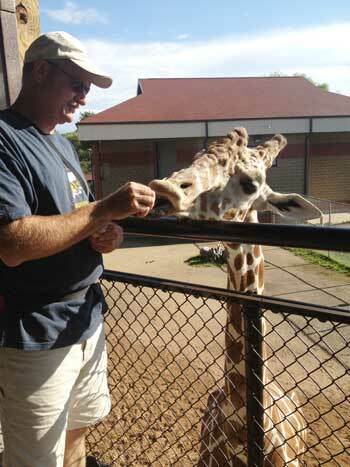 The NEW Zoo is open daily from 9am-4pm, and is located at 4418 Reforestation Road north of Green Bay. Admission is free for children two years and under, $4 for children 3-15 years, adults 16 and up $6 and Seniors (62 and up) $4. Spend an educational and fun day learning about the special animals that inhabit our earth. 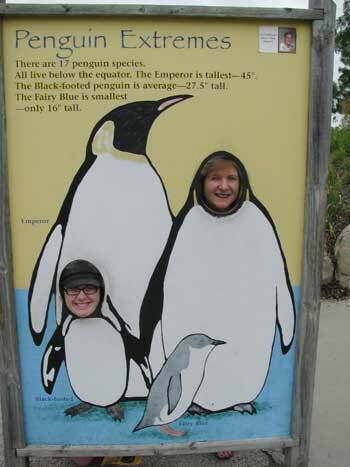 Visit the NEW Zoo in Green Bay, Wisconsin.